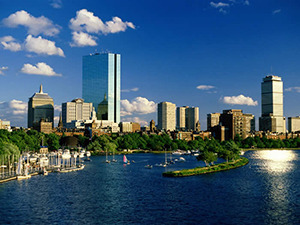 After nearly 7 amazing years in Boston, I’m excited to share that I am moving to the west coast! Like many who graduate from college in Boston, I stayed here for several years after school. The city is overflowing with tremendous opportunity, especially in technology and entrepreneurship. Sales can be just as technical as engineering. It involves tremendous training, processes, expertise and resources. Establishing the right sales team organization, putting the proper infrastructure in place and understanding the right KPIs to measure sales performance is a true skill, and I gained major respect for world-class sales people. Trying to do sales without marketing is like eating cereal without milk. The two functions are so tightly aligned, and marketing done right revolutionizes the ability for sales reps to succeed. I learned a ton about inbound marketing, setting up a content engine, and feeding marketing qualified leads (MQLs) to hungry sales teams. In early stage startups, I learned to measure performance on a weekly basis. It sounds overly intense, but in that stage, every week counts. Understanding progress indicators (from revenue to qualified sales opportunities to new product features released) can help you understand how to allocate resources. Startups rarely die from trying to move too fast. It happens, but it’s far more likely that a startup will die from moving too slow. There are few things more challenging for a startup leader than finding the right people to join the team. Between finding them (cold email reach outs, recruiters, LinkedIn), selling the vision, getting to an effective comp package and crafting the right role to leave them beaming with excitement, recruiting can be a full-time job. There’s a common dogma that you should try to delegate as much as possible, and I quickly realized that while it’s a good general philosophy to hire by, it’s not always true with the reality of deadlines. Leading a startup is a mix of personally cranking through tasks to get them done, and building systems and processes that empower the people around you to get things done faster and smarter. Especially for those who are more product-driven, few things are more boring than legal. During my time in Boston, I got to dive into lots of legal documents, from vendor agreements to bylaws. There is simply no way around it: running a startup means understanding every aspect of everything you sign. No excuses. Read and ask lots of questions. Items like snacks and water coolers and other office comforts, even in the very early stage, make a big difference for the team. The cost is so relatively low, and the impact is so high. Don’t even give it much thought – just buy whatever is going to keep your team happy, focused and productive. I found that the best mentors were often the ones that were currently operating a company at a slightly later stage than whatever I was working on at the time. This gave them fresh experience and a real-time pulse on the challenges a startup leader is facing now. The power of “pay if forward” mentorship helped me through the toughest challenges. Often, the most valuable people in startups understand the basics of both technical and non-technical skills. Being involved in a technology startup, everyone should understand the core of how software works. Simultaneously, in a sales-driven environment, everyone technical should understand the core of how sales works. On a more personal note, I am going to miss my friends and mentors in Boston… it’s truly a special place and I can’t express enough gratitude to everyone in the entrepreneurship community there who helped me along the way. It’s a new chapter: I’m thrilled to be in San Francisco and can’t wait to learn as much as I can. If you’re reading this and you’re in the Bay Area, shoot me an email – I would love to meet you!